Situated next to one of Melbourne’s most sought after suburbs of Toorak is the friendly and professional team at High Street Dental Care. We welcome the local Toorak community to experience the high-quality dentist services we provide in our friendly, relaxed and professional dental practice near Toorak. By using some of the latest equipment and technology available in today’s industry, we offer a complete dentist service ranging from general dentistry, dental implants, to cosmetic dentistry and everything in between. Toorak represents all the things we love about Melbourne. It’s a relaxed, yet vibrant community catering for all lifestyles and interests, where you will simply love being close to some of the best spots for fantastic style, fun, food, coffee and so much more. That trip to the dentist will no longer be a nagging chore knowing you have everything you need in Toorak right at your fingertips. At High Dental, it is our passion to deliver outstanding care to our patients across the Toorak area. Our practice is run by Dr. Nicholas Hii, a professional and highly qualified dentist who has studied at some of the most highly recognised educational institutions in London. His work with renowned dentists from across the globe has given him the experience and skills to continuously excel in his profession. Nick has worked across a number of dentist practices within Melbourne’s CBD and is now providing a strong focus on delivering the best patient care and education to our clients throughout Toorak. What sets us apart from other dentists in Toorak, is our commitment to delivering a patient-centered approach. We believe that making our patients feel comfortable and relaxed is just as important as providing exceptional dental care services. 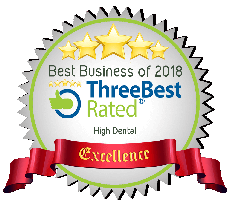 This is why we strive to build a strong rapport and a trusting relationship with each of our Toorak clients, so they are given the best dentist service and attention they deserve. So, if you are in Toorak looking for quality dental care, book an appointment today and come to meet the friendly team at High Dental.